Home » Blog » Cycle Oregon 2012 – and we’re back! Last week, four Community Cycling Center staff members, 14 volunteers, and one very talented event planner headed south to join the traveling circus that is Cycle Oregon to raise money for our community programs. We arrived back in Portland last Saturday with sunburns, hoarse voices, so much dirt and bike grease under our nails, inside jokes, and $32,000. Every year, we travel along with Cycle Oregon to detail riders’ bikes and charge their cell phones. It’s one of our biggest fundraisers of the year and also one of the most intense. Every morning, we crawled out of our tents before the sunrise to scarf breakfast and break camp before loading the box truck. We drove through the gorgeous wild lands and ranch country of southern Oregon to set up our detailing and charging tents and camp before the riders arrived. Our volunteers this year were amazing as always. They each took a week away from their lives to get up close and personal with gravel-dusty frames and grimy drivetrains. Every volunteer contributed something special to the group – it was amazing to see the group come together so effortlessly to tackle challenges and celebrate successes. There was so much wise cracking and camaraderie, the week flew by and felt like summer camp. Along the way, we detailed 114 gorgeous bikes, charged hundreds of electronic devices, and totally bonded with each other and with Ron Sutphin, master bike builder and President of the United Bicycle Institute (UBI). This year, UBI and Cycle Oregon joined forces to design a 25th anniversary Cycle Oregon bike – which they raffled off on Friday night and then donated the proceeds to us! 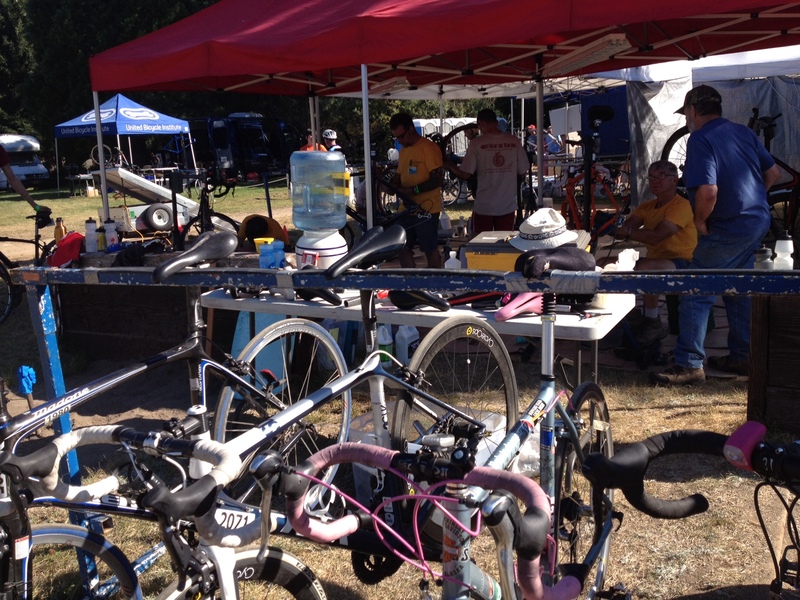 Thanks to Cycle Oregon for inviting us along again this year and to all the riders who purchased services, made donations, and bought raffle tickets. The money we raised on the ride will support our community programs. Thanks also to Zipcar and Penske Truck for making in-kind donations that made this epic project possible. 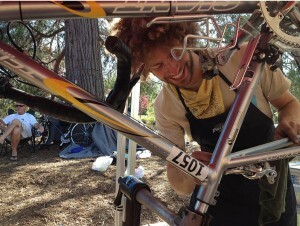 Click here to see a slideshow of pictures from Cycle Oregon.